I may be posting more lightly in the coming months since I just started working in the health policy field again. So much exciting stuff is happening in the world of food and food politics that I hope to keep a hand in and keep up with this blog. We'll see. Today I just have some articles that I'm been collecting for research. Enjoy! What America Really Eats. Lynn Schnurnberger, Parade Magazine, 11.16.08. Top Ten Tips for Nutritious Eating in a Recession. 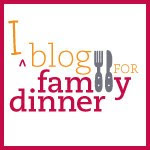 The Fooducate Blog.